SHOP NOW FOR SERVICE PACKAGES OR GIFT CARDS! Evening hours available by appointment only! We accept all credit cards, cash and check. 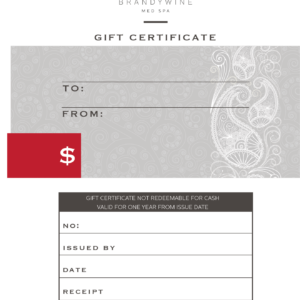 © Copyright 2018- Brandywine Med Spa.